Welcome! On this page you will find information about my research interests, publications, teaching, and fencing results. For a fuller description of my past and ongoing research, including my method, go here. For my teaching philosophy, go here. For my adventures as a conservative in academia, go here. For my writing about Milo Yiannopoulos, go here. For my journey as a servant of Wisdom, go here. For my podcasts and videos, go here. 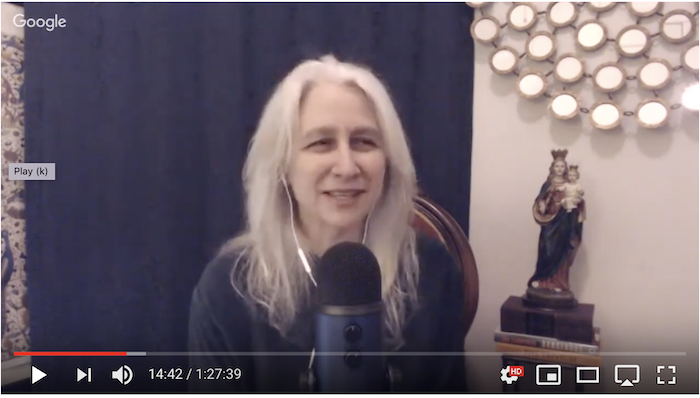 Bear On Air Lectures and guest appearances on podcasts, radio shows, and YouTube videos, including videos about me. Weblog: Fencing Bear at Prayer Musings of an Entish Presby-Catholic medievalist on training the soul in virtue in the postmodern West. On my role in the culture war, see Milo Yiannopoulos, "Middle Rages," at Dangerous.com, July 31, 2018.
unless God holds it and fights with it? lies idle if there is no warrior to take it up." Because I believe, with J.R.R. 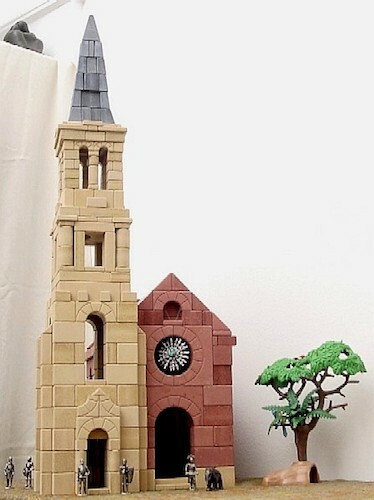 Tolkien, that, as creatures made in the image and likeness of a Maker, we are called by our Creator to participate as subcreators in the continuing work of creation and to be moved thereby to praise and thanks for the creation of which we are a part. Because I believe in chivalry, science, romantic love, education in the liberal arts, the separation between Church and state, representative government, craftsmanship, markets, cities, written contracts, self-examination, self-improvment, self-defense, private property, the value of the individual, the dignity of merchants and laborers, and in caring for widows and orphans, the poor, the weak, the sick, for animals, and the natural world. Because I believe that ideas matter and that in order to understand the ideals of our modern Western world, including our critiques of ourselves for not living up to our ideals, we need to understand where these ideas came from and how they developed, most particularly in the course of the long Christian tradition. I concentrate on the ideas and practices by which medieval women and men formed themselves through reading, prayer, meditation, and worship. My goal is to discover a way to help modern readers "get inside" these practices so as to see the world the way in which medieval Christians did, as a creature of God into which God as Maker entered so that the world itself might be remade. I read books that no one else has figured out how to read, either because the ideas in them seem boring (they aren't!) or because everyone assumes that we already know what they say (we don't!). I teach courses in which I encourage students to imagine the thoughts and experiences of men and women of the past "from within," whether through close study of the primary sources or through research projects that enable them to write their own stories or make their own works of art. Some of the things I have written about: commentaries on the Song of Songs in which the bride is identified as the Virgin Mary and the bridegroom as Christ; liturgies for the feast of the Assumption of the Virgin; prayers to the Virgin Mary and Christ; fears surrounding the year 1000; the doctrine of the Real Presence in the Eucharist; flowers as surfaces for prayer; sweetness as an experience of the divine; counted prayers; the theology of the Trinity and the importance of the Holy Spirit in twelfth-century devotion to the humanity of Christ; exercises for training the attention in prayer; Hildegard of Bingen's theology of revelation; Anselm of Canterbury's prayers to the saints; Francis of Assisi's Office of the Passion; how to read the Psalms. Some of the things I am happy to talk about: the Office of the Virgin Mary; books of Hours; commentaries on the names of Mary found in the Old Testament, particularly the Psalms; Mary as a model of human creativity. Some of the things that I am thinking about as part of my current research: training the soul in virtue; the psychological bases for the doctrine of the Seven Deadly Sins; the growth of cities and their relationship to prayer; how saying the Psalms in honor of the Virgin Mary gives birth to understanding and joy. serving as area editor for Medieval Christianity for The Encyclopedia of the Bible and its Reception. Chapter 2 Ave Maria: How to say the Ave Maria and why the Virgin's name was Mary. Reviews by Nils Zumbansen, Facts and Stories (March 29, 2019); N. Dass, "Restarting the Engine of Christianity," The Postil Magazine (February 1, 2019); Rebekah Lamb, "What's the problem with medieval mysticism?," Catholic Herald (November 8, 2018); Barbara Newman, Speculum 93.4 (October 2018): 1169-71; Nathan Ristuccia, "Our Lady of Everything," First Things (May 2018), 55-57, with responses by Rachel Fulton Brown, Sarah Jane Boss, and Bruce Clark, First Things (August 2018), 3-5. "It's her cathedral. But somehow Our Lady has been forgotten." Catholic Herald, April 18, 2019. 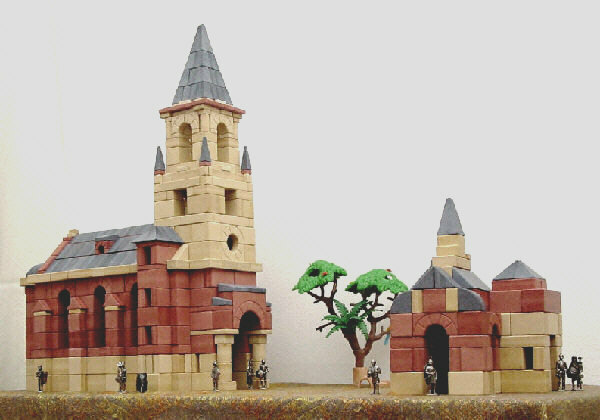 "Fire in the Cathedral." First Things, April 17, 2019.
Review of Jill Geoffrion, Visions of Mary: Art, Devotion, and Beauty at Chartres Cathedral, in Reading Religion, September 12, 2018. "Mary and the Art of Prayer: Conversations with Mark Bauerlein." [Audio] First Things, June 22, 2018. "Training the Soul in Virtue: Lessons from the West." [Video] What is Western Civilization? National Association of Scholars Conference, February 9, 2018. "Milo, Jordan Peterson, and the Symbolic Worldview." [Video] Interview with Jonathan Pageau, July 13, 2017. 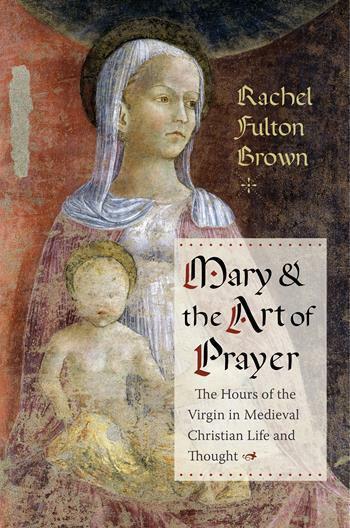 "Three Books on the Virgin Mary: An Interview with Rachel Fulton Brown." First Things, June 16, 2017. "The Quest for the Historical Mary." First Things, June/July 2017. "Why Milo Scares Students, and Faculty Even More." Sightings: Religion in Public Life, February 16, 2017.
Review of R.M. Thomson and M. Winterbotton, eds., Miracles of the Blessed Virgin Mary: William of Malmesbury, in The Medieval Review 16.09.35.
Review of Maureen Barry McCann Boulton, Sacred Fictions of Medieval France: Narrative Theology in the Lives of Christ and the Virgin, 1150-1500, in H-France 16 (April 2016), No. 50. "Exegesis, Mimesis, and the Voice of Christ in Francis of Assisi's Office of the Passion." The Medieval Journal 4.2 (2014): 39-62. "Mary in the Scriptures: The Unexpurgated Tradition." The Theotokos Lectures in Theology 7. Milwaukee: Marquette University Press, 2014. "What's in a Psalm? British Library, MS Arundel 60 and the Stuff of Prayer." In Rome and Religion in the Medieval World: Studies in Honor of Thomas F.X. Noble, eds. Valerie L. Garver and Owen M. Phelan, pp. 235-52. Farnham, Surrey: Ashgate, 2014. "Penisgate: Response to Matthew J. Milliner, 'The Sexuality of Christ in Byzantine Art and in Hypermodern Oblivion.'" Religion and Culture Web Forum. The Martin Marty Center for the Advanced Study of Religion, The University of Chicago. January 2014. "Anselm and Praying with the Saints." In Experiments in Empathy: The Middle Ages, ed. Karl Morrison and Rudolph M. Bell, pp. 115-38. Turnholt: Brepols, 2013. "Hildegard of Bingen's Theology of Revelation." In From Knowledge to Beatitude: St. Victor, Twelfth-Century Scholars and Beyond. Essays in Honor of Grover A. Zinn, Jr., eds. E. Ann Matter and Lesley Smith, pp. 300-27. Notre Dame: University of Notre Dame Press, 2013.
Review of Leslie Brubaker and Mary B. Cunningham, The Cult of the Mother of God in Byzantium: Texts and Images (2011), in The Medieval Review 12.10.08. "Oratio." In The Cambridge Companion to Christian Mysticism, eds. Patricia Z. Beckman and Amy Hollywood, pp. 167-77. Cambridge: Cambridge University Press, 2012. "My Psalter, My Self; or How to Get a Grip on the Office According to Jan Mombaer (d.c. 1501): An Exercise in Training the Attention for Prayer." Spiritus: A Journal of Christian Spirituality 12.1 (Spring 2012): 75-105. "Three-in-One: Making God in Twelfth-Century Liturgy, Theology and Devotion." In European Transformations: The Long Twelfth Century, eds. Thomas F.X. Noble and John Van Engen, pp. 468-97. Notre Dame: University of Notre Dame Press, 2012.
Review of Gary Waller, The Virgin Mary in Late Medieval and Early Modern English Literature and Popular Culture (2011), in The Medieval Review 12.02.29. "Mary." In Christianity in Western Europe c. 1000-c. 1500, eds. Miri Rubin and Walter Simons, pp. 283-96. Cambridge: Cambridge University Press, 2009. 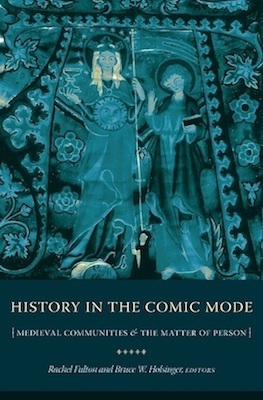 History in the Comic Mode: Medieval Communities and the Matter of Person. Co-edited with Bruce Holsinger. New York: Columbia University Press, 2007. "Afterword: History in the Comic Mode," with Bruce Holsinger, pp. 279-92. "Praying by Numbers." Studies in Medieval and Renaissance History, 3rd. 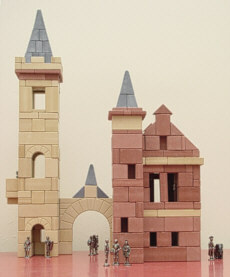 series, volume 4 (2007): 195-250. "Praying with Anselm at Admont: A Meditation on Practice." Speculum 81.3 (July 2006): 700-733. "'Taste and See That the Lord is Sweet' (Ps. 33:9): The Flavor of God in the Monastic West." The Journal of Religion 86.2 (April 2006): 169-204. "The Virgin in the Garden, or Why Flowers Make Better Prayers." Spiritus: A Journal of Christian Spirituality 4 (Spring 2004): 1-23. 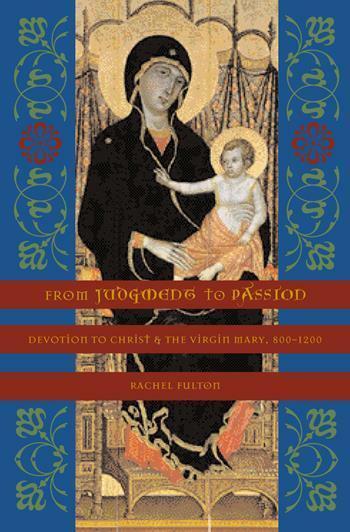 From Judgment to Passion: Devotion to Christ and the Virgin Mary, 800-1200. New York: Columbia University Press, 2002. Awarded the 2006 John Nicholas Brown Prize by the Medieval Academy of America for "a first book or monograph on a medieval subject judged by the selection committee to be of outstanding quality." Awarded the Journal of the History of Ideas Morris D. Forkosch Prize for "the best book in intellectual history published in 2002." A Choice Magazine Outstanding Academic Title of the Year. Reviews by Sarah Hamilton, History: Journal of the Historical Association 92.1 (January 2007): 108-9; Sarah Jane Boss, American Historical Review 111.5 (December 2006): 1576-77; Penny J. Cole, Theological Studies 67.4 (December 2006): 886-88; Kevin Madigan, History of Religions 45.3 (February 2006): 270; Marsha L. Dutton, The Catholic Historical Review 92.1 (January 2006): 107-110; Karl Morrison, "Constructing Empathy," Journal of Religion 84 (April 2004): 264-69; M.B. Pranger, "On Devotional Historiography," Dutch Review of Church History 84 (2004); Wanda Zemler-Cizewski, Speculum 79.4 (October 2004): 1071-72; Thomas F.X. Noble, Theological Studies 65.4 (December 2004): 861-64; Arthur G. Holder, Church History 73.1 (March 2004): 197-199; Janice Pinder, The Medieval Review, 04.06.11; Henrietta Leyser, European Review of History--Revue europeenne d'Histoire 11.3 (Autumn 2004): 429-30; and Benedicta Ward, Journal of Theological Studies 54.2 (October 2003): 817-18.
Review of Donna Spivey Ellington, From Sacred Body to Angelic Soul: Understanding Mary in Late Medieval and Early Modern Europe (2001), in The Medieval Review, 02.03.08. "'Quae est ista quae ascendit sicut aurora consurgens? ': The Song of Songs as the Historia for the Office of the Assumption." Mediaeval Studies 60 (1998): 55-122. "Mimetic Devotion, Marian Exegesis, and the Historical Sense of the Song of Songs." Viator 27 (1996): 86-116. The above research has been supported with fellowships from the National Humanities Center (1998-99), the American Council of Learned Societies (1998-99, 2008-09), the John Simon Guggenheim Memorial Foundation (2008-09), and the Andrew W. Mellon Foundation (1992-93, 2003-06), among others. My teaching at the University of Chicago has been recognized with the Provost's Teaching Award (2006) and the Llewellyn John and Harriet Manchester Quantrell Award for Excellence in Undergraduate Teaching (2007). Bronze Medalist, Veteran Women's Foil 50-59, USFA Summer Nationals, St. Louis, MO, July 2018. World Championships 2016 Team USA, Veteran Women's Foil 50-59. 5th Place Finalist, Veteran Women's Foil 50-59, USFA Summer Nationals, Dallas, TX, July 2016. Silver Medalist, Veteran Women's Foil 50-59, North American Cup, Richmond, VA, April 2016. 6th Place Finalist, Veteran Women's Foil 50-59, North American Cup, Baltimore, MD, December 2015. 6th Place Finalist, Veteran Women's Foil 50-59, USFA Summer Nationals, San Jose, CA, June/July 2015. Bronze Medalist, Veteran Women's Foil 50-59, North American Cup, Reno, NV, February/March 2015. Bronze Medalist, Veteran Women's Foil 40-49, North American Cup, Dallas, TX, December 2013. 6th Place Finalist, Veteran Women's Foil 40-49, USFA Summer Nationals, Columbus, OH, July 2013. 5th Place Finalist, Veteran Women's Foil 40-49, North American Cup, Reno, NV, March 2013. 8th Place Finalist, Veteran Women's Foil 40-49, North American Cup, Milwaukee, WI, December 2012. Silver Medalist, Veteran's Women's Foil 40-49, USFA Summer Nationals, Anaheim, CA, July 2012. 8th Place Finalist, Veteran Women's Foil 40-49; Top 32, Div II Women's Foil, USFA Summer Nationals, Reno, NV, July 2011. 5th Place Finalist, Veteran Women's Foil 40-49, USFA Summer Nationals, Atlanta, GA, July 2010. Text and photographs copyright Rachel Fulton Brown, 2002-present.